Based on what we've heard from you at our two June Public Open Houses, comments you've posted to this site, and the discussions we've had with our Project Steering Committee and Project Advisory Committee, we've revised the alternatives moving forward into Tier 3 for further analysis. 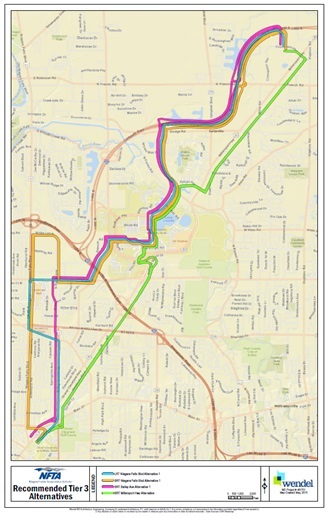 Tom George, Director of Public Transportation gave a detailed presentation to our Board of Commissioners you can watch which outlines the results of our outreach efforts and the reasons for the revised alternatives. 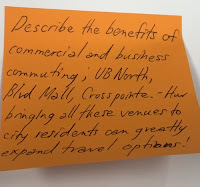 A very sincere thank you to everyone who took the time to attend the meetings, review the project materials and provide us with your thoughtful comments! We are quickly moving forward towards a Locally Preferred Alternative and want to encourage you to continue to stay engaged. 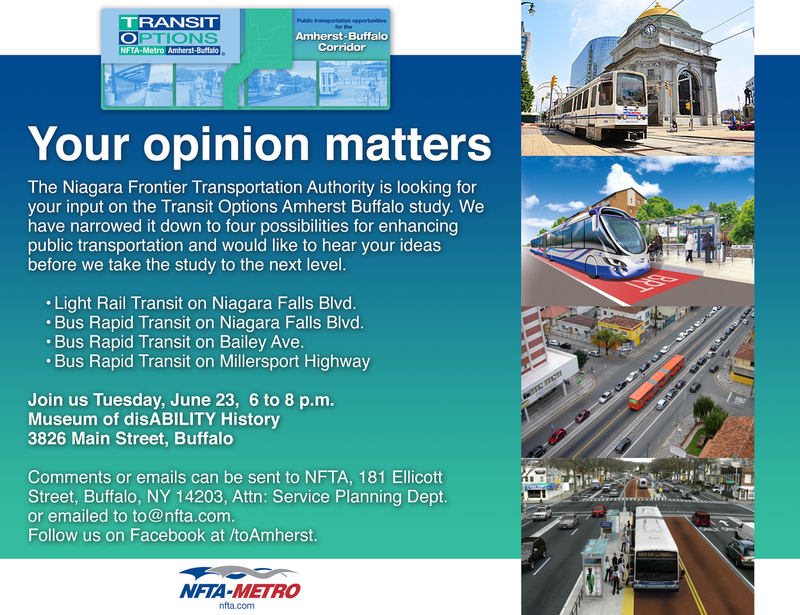 We're no longer advancing a Bailey Avenue BRT and have added an LRT alternative to Millersport Highway for further evaluation. This leaves us with LRT and BRT options on Niagara Falls Blvd. 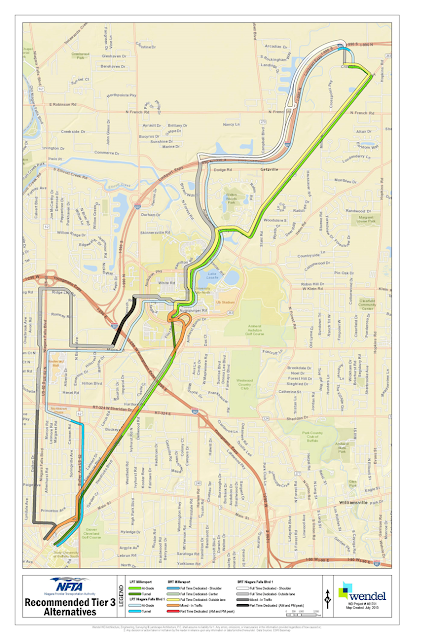 and Millersport Highway as well as Enhanced Bus and Preferential Bus. After the leg work is complete, we'll present the results to you - look for our meeting notifications in the Fall. 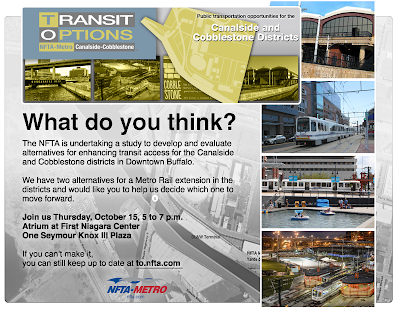 The Tier 2 results are in and we want your feedback on the recommendations. 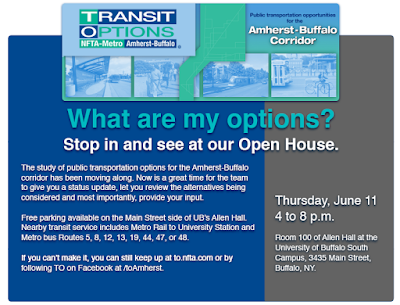 We'll be hosting a public review on Thursday, June 11, 4 p.m. 'till 8 p.m., Allen Hall, Room 100, University at Buffalo South Campus, 3435 Main Street, Buffalo. Stop in any time. There is no formal presentation. 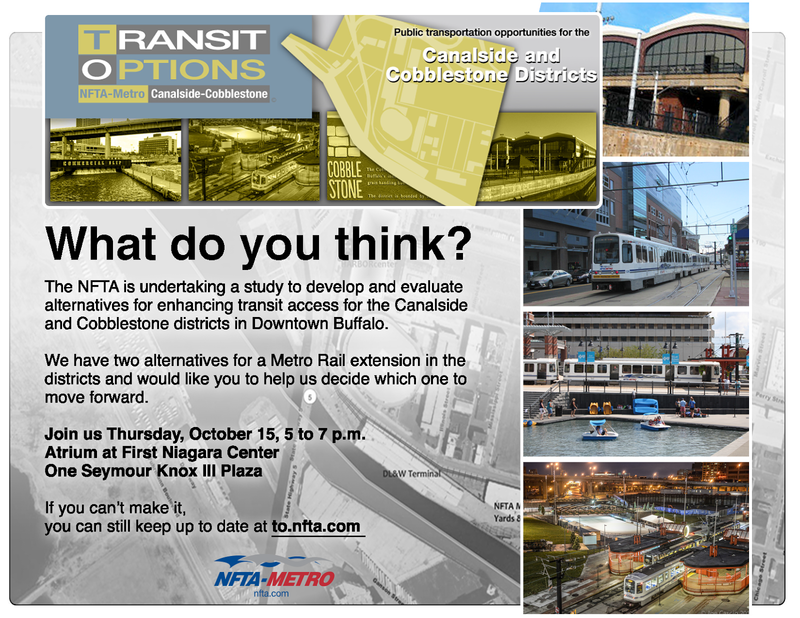 Transit as a must-have economic development tool? 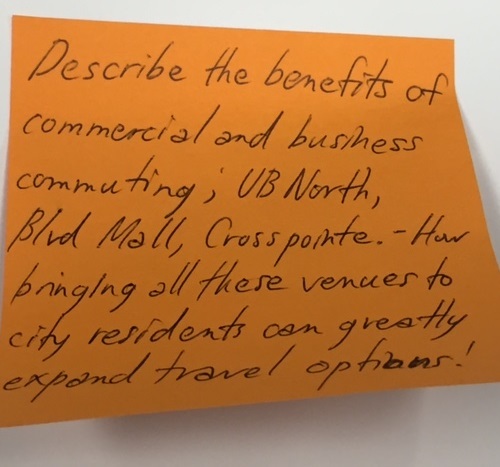 Here's an example of a traditional suburban community that's rethinking transit. Sorry everyone, it’s been a while since our last post. We’ve been hard at work refining and evaluating the 15 alternatives as part of the Tier 2 evaluation. Remember, Tier 2 will look at order of magnitude capital costs, forecasted ridership and right-of-way impacts. 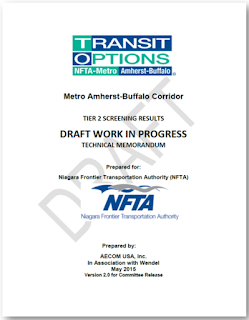 The result will be a handful of alternatives to evaluate in even more detail in Tier 3. We’re pretty close to wrapping up Tier 2 and will likely have a presentation for you in June. 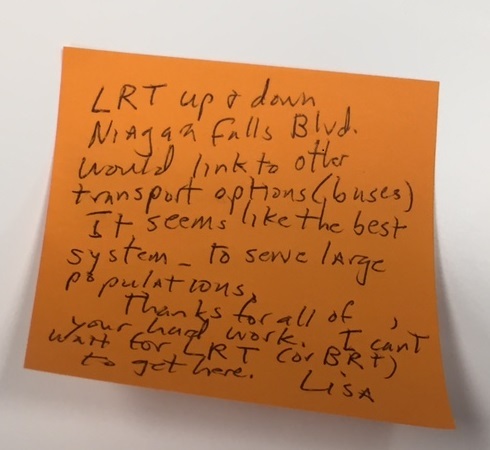 In the meantime, since we’re still not sure about the mode, here's an article that summarizes a couple of studies about LRT and BRT. What’s your opinion?